Did you know that Shakespeare wrote poetry? 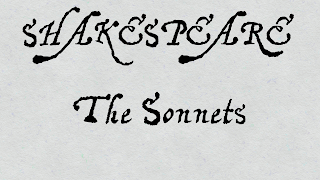 No I don’t just mean the rhyming couplets that inhabit some of his plays, I mean actual structured poetry – his Sonnets. And he didn’t just write one or two of them, there are 154 of them altogether, the first of which was published in 1599, so I thought they deserved a bit of an airing on a day when his work is being celebrated. It’s ok, I promise it won’t be like learning about poems, or Shakespeare, in school, give it a go, I’ll be gentle. 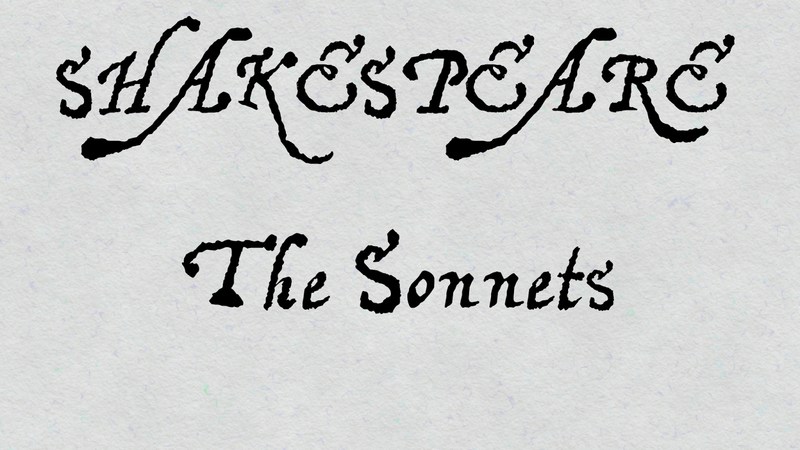 What actually is “a Sonnet”? It’s a form of poetry that has 14 lines and a recognisable rhyming scheme which means that the ends of certain lines have the same sound. Most of Shakespeare’s sonnets rhymed the lines in this order a,b,a,b,c,d,c,d,e,f,e,f,g,g. If I give you an example, this is Sonnet 65, you can see where the rhymes are; where A rhymes with A, B rhymes with B and so on. I realise that by now several of you have recoiled in horror and yet more are making polite excuses and are sidling towards the exit door and that’s OK. Shakespeare isn’t for everyone. For those of you brave enough to continue let’s have a look at what makes the language so scary. The sonnet above is written in what passes now for the English alphabet but did you know there are at least 12 letters of the alphabet as it was in the 1500’s that are no longer used? It’s because of these letters that old manuscripts make the lower case letter ‘s’ look like an ‘f’ (it’s called a long S and was used by printers at the beginning or middle of words but never at the end), overuse the letter e by adding it to the end of nearly every word unnecessarily and why the word ‘The’ is now always translated as Ye. The Y in Ye, by ye way, is actually a representation of the old letter Thorn, which looked like a loopy ‘y’ but was pronounced as a ‘th’ sound – so Ye as in Ye Olde Worlde has always been pronounced The. You also have to remember with Shakespearean language that the words themselves are old and, in the same way that poetry today is often written in the more flowery language of an earlier century, the same is true with Shakespeare, who called upon language from the mediaeval period. I’ll always remember though how our English teacher at school managed to engage a class of 15 year old boys with Shakespeare by pointing out all the crude words in his writing.